Who can Repair Used Cars that are Under Warranty? Knowing that a car is under warranty is a great comfort to many motorists, as it ensures that many defects and malfunctions will be repaired free of cost during the warranty period. While manufacturers and dealerships are allowed to limit their warranties to certain parts of a vehicle, they are not permitted to restrict who can perform necessary repairs. In fact, even attempting to void a warranty or to deny coverage to a vehicle owner because someone other than the dealer made the repairs is unlawful under federal law, so if your dealer refused to cover repairs to your vehicle that fall under the warranty merely because another repair shop fixed the damage, you should strongly consider speaking with an experienced used car fraud attorney who can help you recover damages to compensate you for the cost of repairs and incidental expenses. The Magnuson-Moss Warranty Act is a federal law that was enacted in 1975 and makes it unlawful for manufacturers and dealers to claim that a warranty is void because someone besides the dealer actually made the repairs. Instead, independent mechanics, retail repair shops, and even vehicle owners themselves can perform routine maintenance and repairs on a vehicle without fear that the repairs won’t be covered. There is an exception, however, that allows dealers to require consumers to select certain repair facilities when making repairs that are covered by a warranty. However, this is only permitted when the repairs are being provided free of charge. 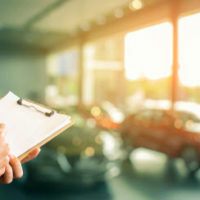 As long as a motorist keeps records of routine maintenance and has not altered the car with non-factory parts that caused problems, factory warranties should remain in effect at the dealership. Does Using Aftermarket Parts Void My Warranty? Aftermarket parts are vehicle parts that are manufactured by a company other than the vehicle manufacturer or the company that was responsible for manufacturing the original equipment. Similarly, a recycled part is a piece of equipment that was made for and then installed in a new vehicle by a manufacturer, although later removed and made available for resale. Fortunately, making repairs with these types of parts does not void a vehicle’s warranty. Again, the only exception to this rule is when a dealer or manufacturer provides parts free of charge. In these cases, dealers are permitted to require consumers to use certain parts. However, it is important to note that if the aftermarket part ends up being defective or was installed improperly and later caused damaged to another part of a car, dealers can deny coverage for that part and charge for repairs. Even in these cases, dealers must be able to prove that the part caused the need for repairs before they can be allowed to deny coverage. If you were recently unfairly denied warranty coverage by a used car dealership, please call 215-790-1800 to speak with experienced used car fraud attorney Louis S. Schwartz at CONSUMERLAWPA.com.